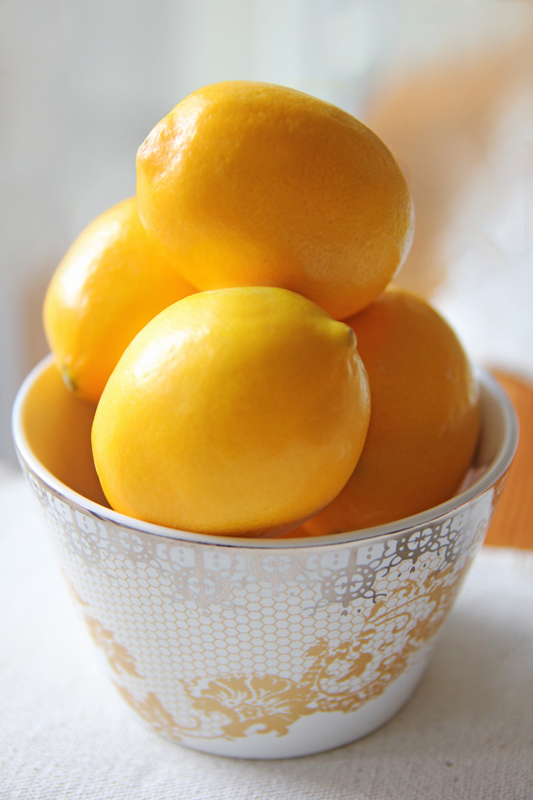 This post is the perfect platform to declare my love for meyer lemons. If you've never tasted one of these gorgeously sweet citrus, I hope it will be on your to-do list for the week! Meyer lemons are ideal to bake with and give that perfectly intense citrus flavour to sweet treats. This lemon loaf can, of course, be made with run of the mill lemons but try making it with organic meyer lemons if you can - you won't be disappointed! As for this delicious dessert it comes together in minutes and features a mix of poppy seeds and lemon - a classic combination that usually pleases any palette! In a medium-sized bowl, add the egg yolks reserving the whites in a separate bowl. Add the sugar to the yolks and mix until homogeneous. Add the room temperature butter and beat using a mixer until creamy (about 3 minutes). Add the lemon juice, zest and the vanilla extract and mix until just combined. Add the flour, baking powder and salt to a small bowl. Mix until homogeneous. Beat the egg whites, with a pinch of salt, until stiff peaks form. Gently fold the egg whites into the flour mixture. Fold in the poppy seeds. Pour the batter in a greased loaf tin and bake for 45-50 minutes or until a toothpick inserted in the center of the cake comes out clean. Make the glaze: add the confectioner's sugar to a bowl and whisk in the lemon a little bit at a time until you've reached a thick but workable consistency. You may not need the entire amount of lemon juice. Pour the glaze over the loaf once it has cooled and cut using a serrated knife. Enjoy! I've never have a meyer lemon but have read so many rapturous posts about them - very jealous! Lemon and poppy seed loaf is one of my all time favourite cakes - moist, zingy and so delicious. Yours looks beautiful. Meyer lemons are so great to work with - flavorful and easier to squeeze than regular lemons. Plus a lot of juice comes out. I must try your cake - it looks fantastic. This looks so simple and refreshing for spring! 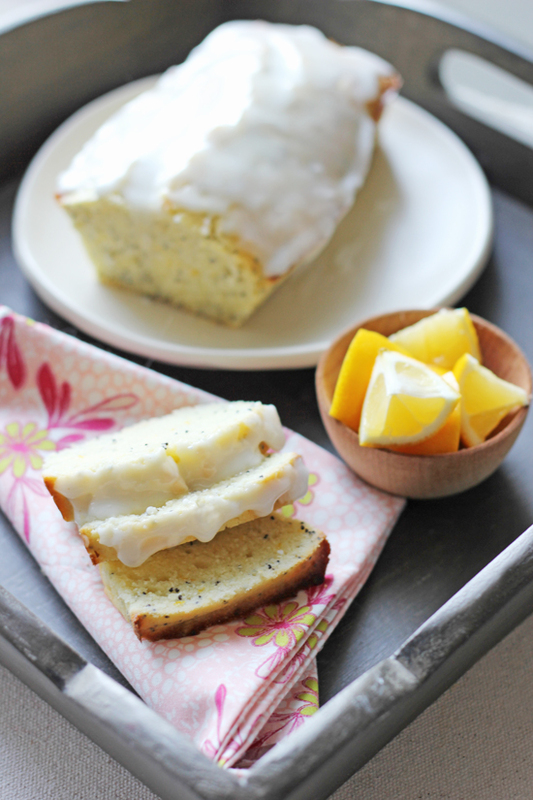 Thanks for this lemon poppy seed loaf with a lemon glaze recipe. It looks wonderful. so, i just made this last night and although it is still super super super delicious....it turned out really dense.... do you know what i could have done wrong? i was thinking maybe i should use bread flour instead of all purpose? i duno... just speculating. As soon as ingredients are just mixed, pour into your loaf pan and bake. I hope that helps! Is there a way to convert grams to cups?